Omar is the founder of OPEN Center for the Arts. 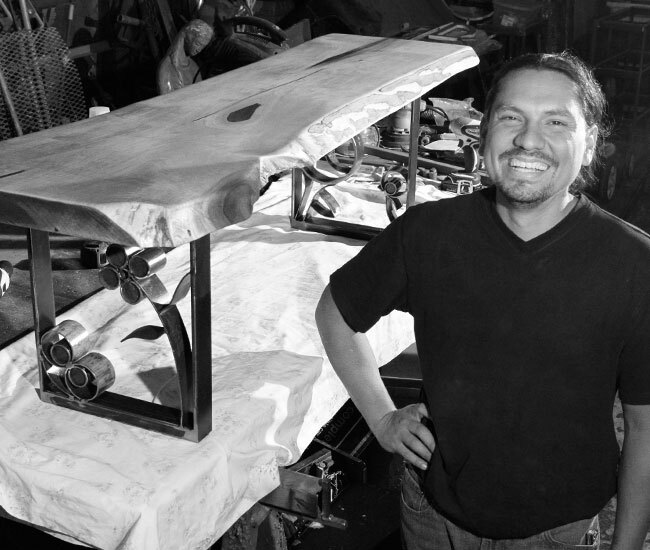 He is a self-taught sculptor and entrepreneur who currently focuses on interior reclaimed furniture design. He was also the founder of Expresiones-Artisticas – an arts organization that has promoted over 500 artists through exhibitions. Omar is a firm believer that the arts play a major role in changing and connecting the world because it serves as an inspirational presence that benefits the community. He also enjoys sharing his passion for the business aspect of the arts with artists interested in becoming entrepreneurs.